How Do You Know If You Have Asbestos Poisoning? Asbestos was used for a variety of purposes up until the 70s and 80s. However, scientists discovered that those minerals cause extensive scarring and damage to the lungs. People who were exposed to asbestos decades ago are just now being diagnosed with asbestos poisoning. Asbestos poisoning can remain mild for many years so it may be difficult for you to determine where or when you were actually exposed. 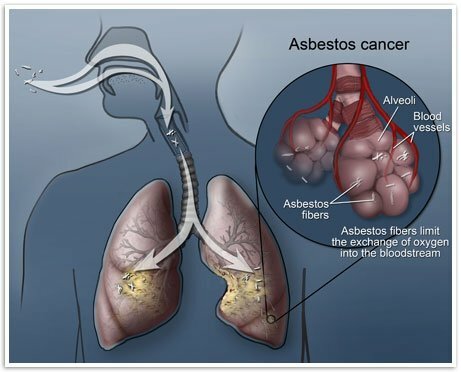 It's well known that people who worked in the shipping industry and construction industries are at a much higher risk than others for developing asbestos poisoning. Even if you never worked in these fields, you could have been exposed inadvertently without even knowing it, possibly by living with a family member who worked in one of those industries. Many people don't know that they may have been exposed to asbestos in the past. If you begin to show signs of asbestos poisoning, talk to your doctor and get a thorough examination. Once you have a diagnosis, contact Gaylord and Nantais. They are worker's compensation attorneys who can help you get the answers to all of your questions, including where and when you may have been exposed to asbestos.